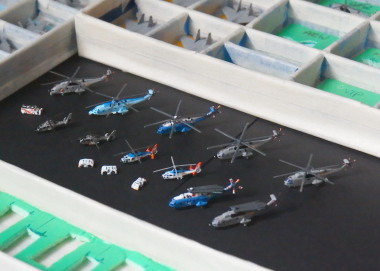 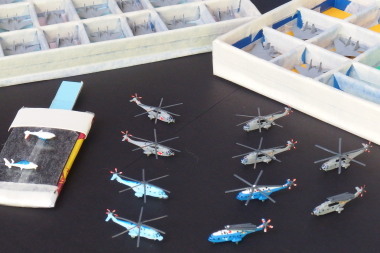 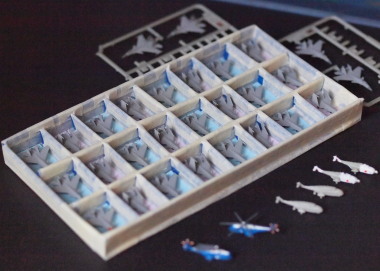 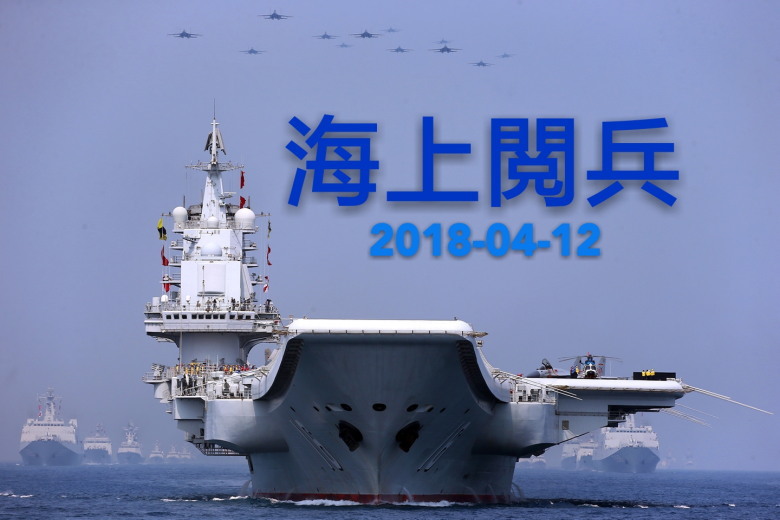 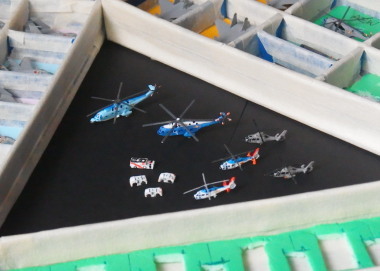 Aircrafts and vehicles completed on Sunday, 23 April 2017, the 68th Anniversary of the PLA Navy. 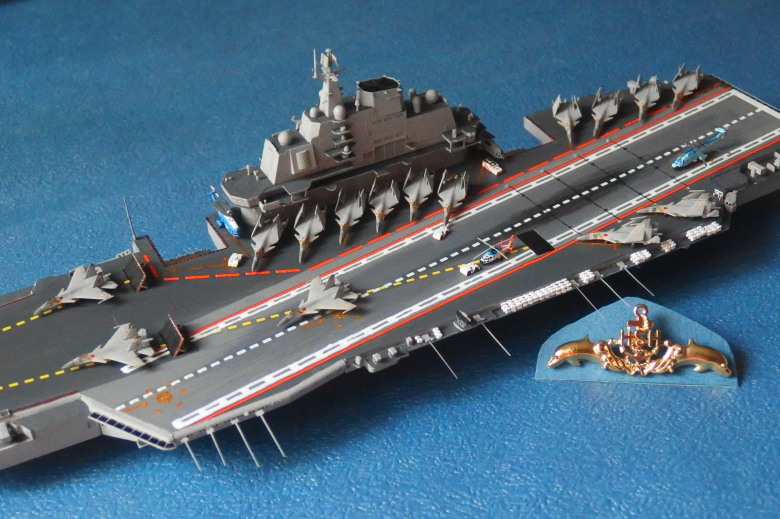 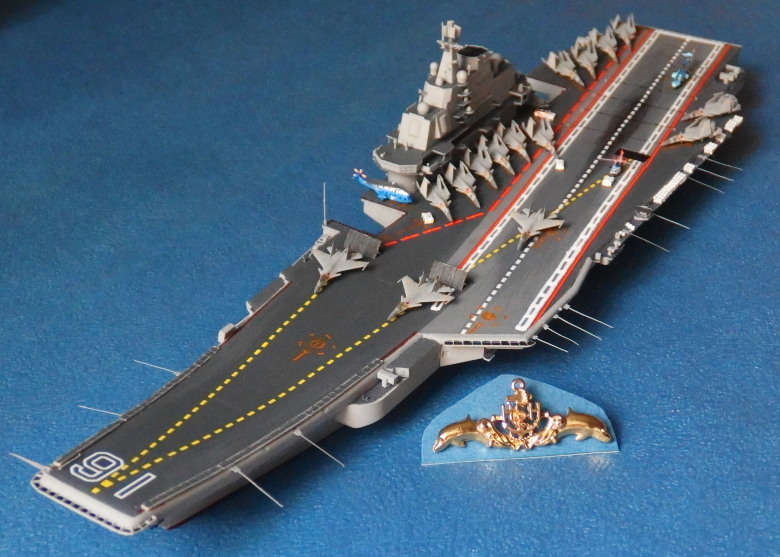 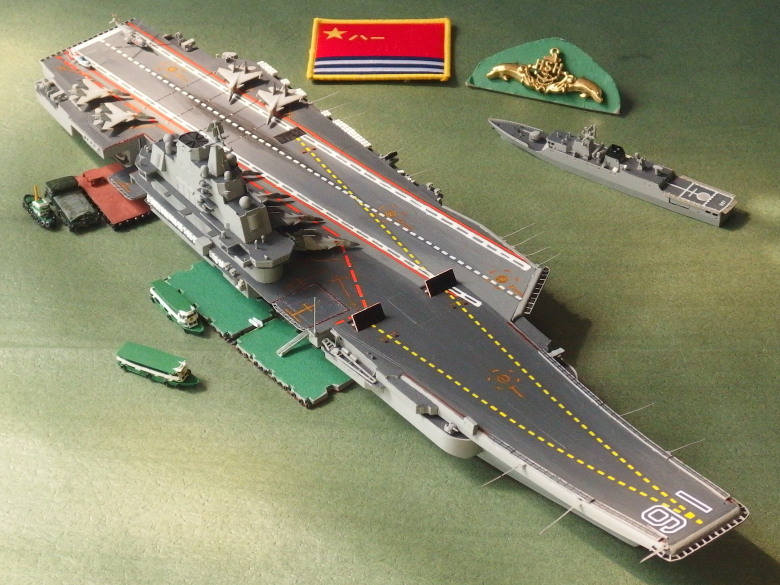 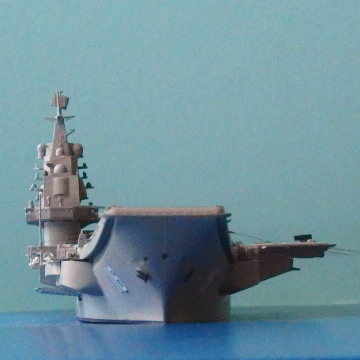 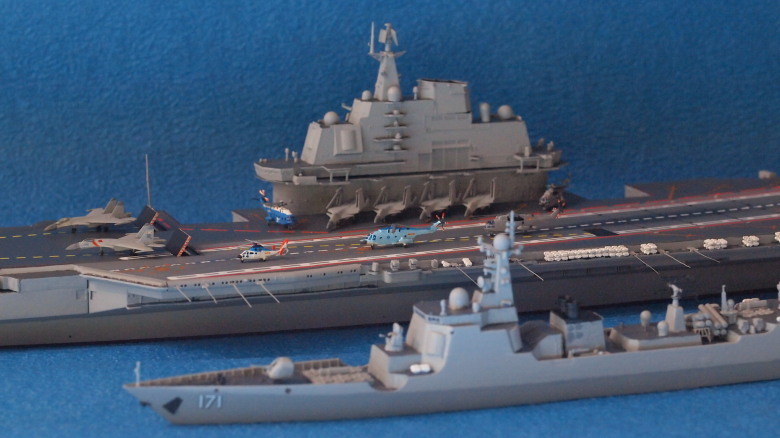 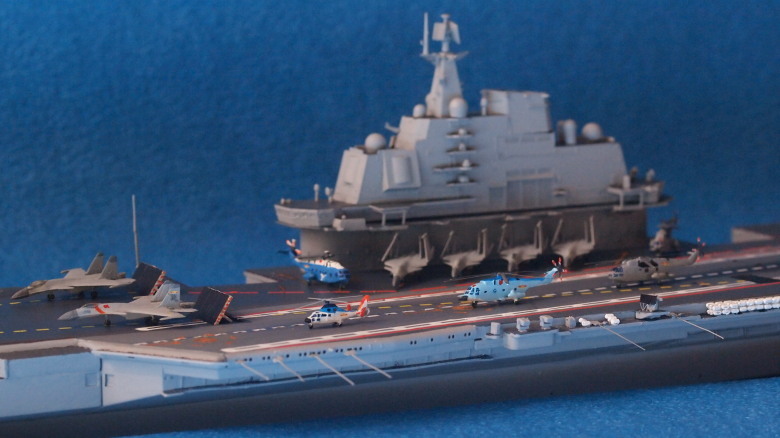 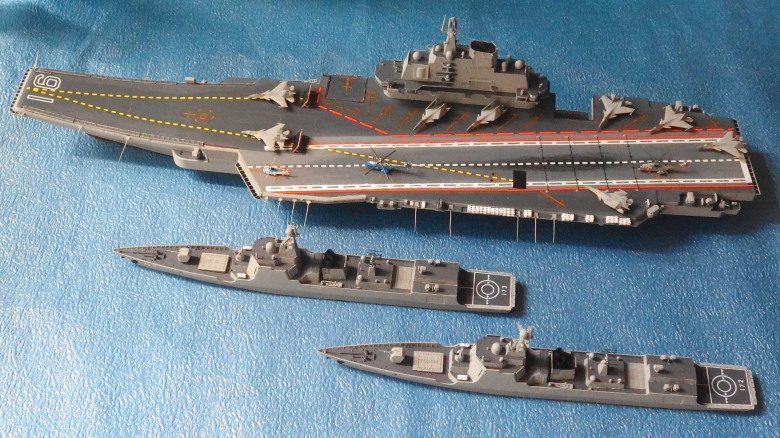 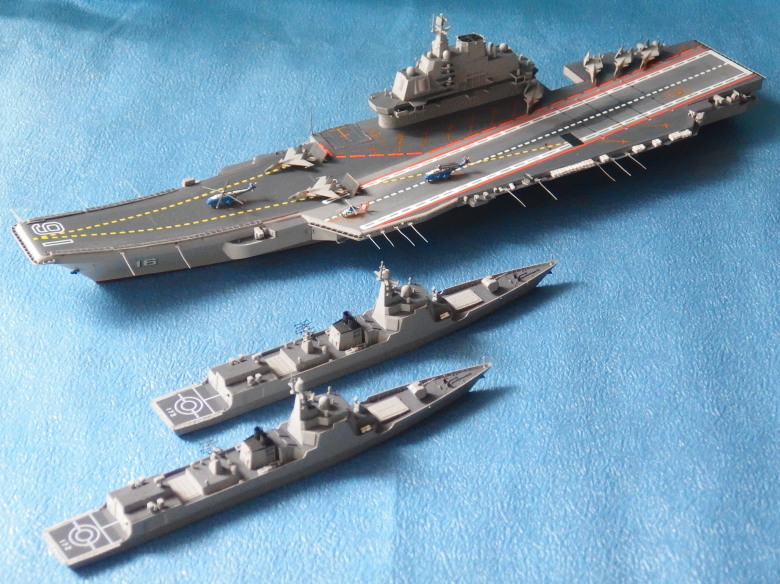 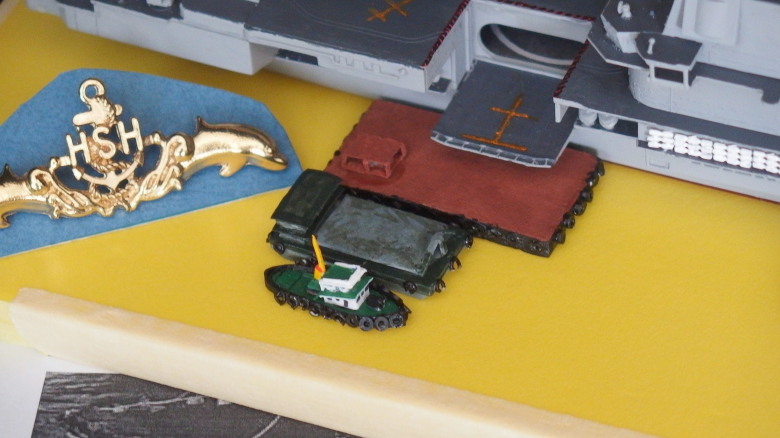 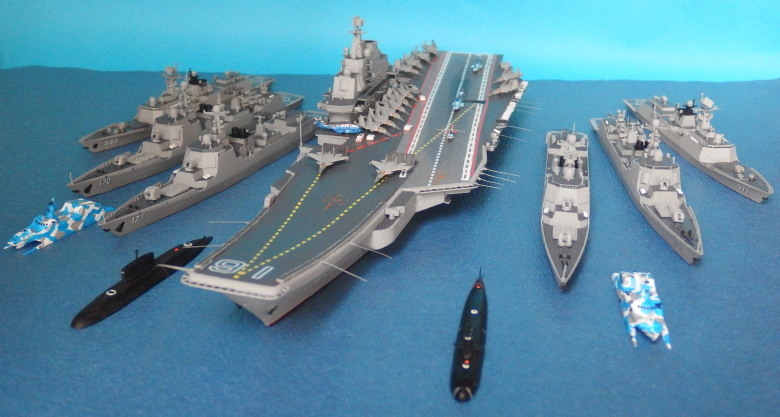 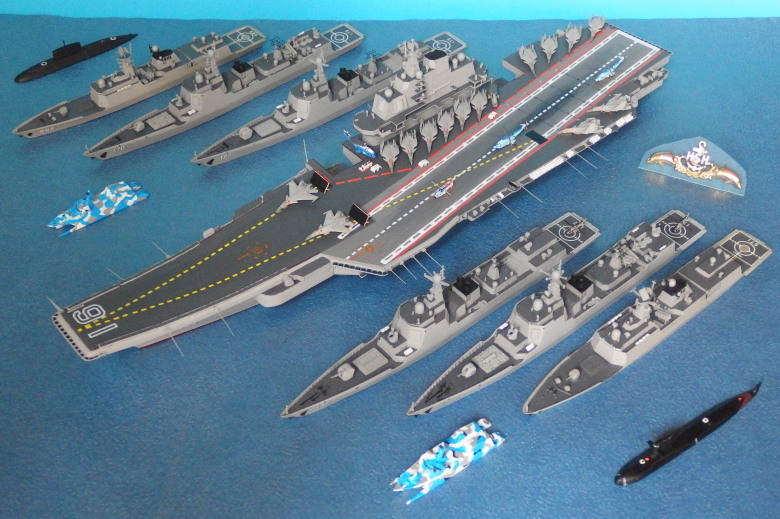 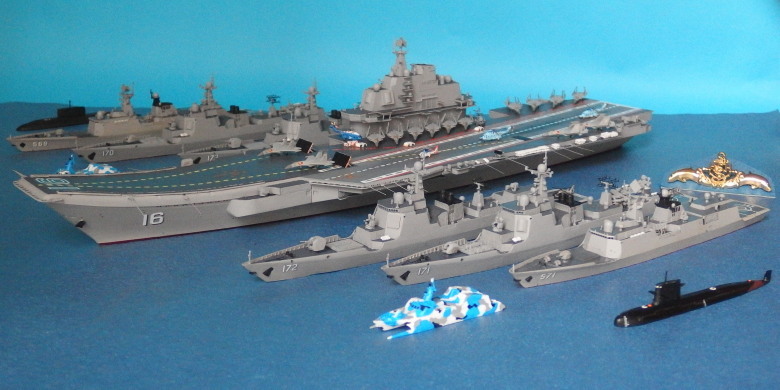 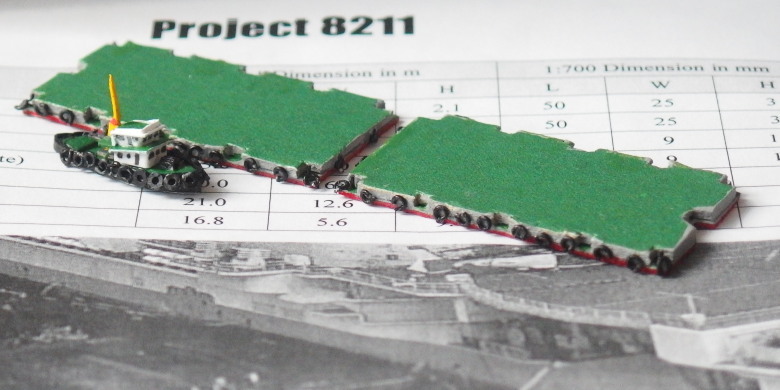 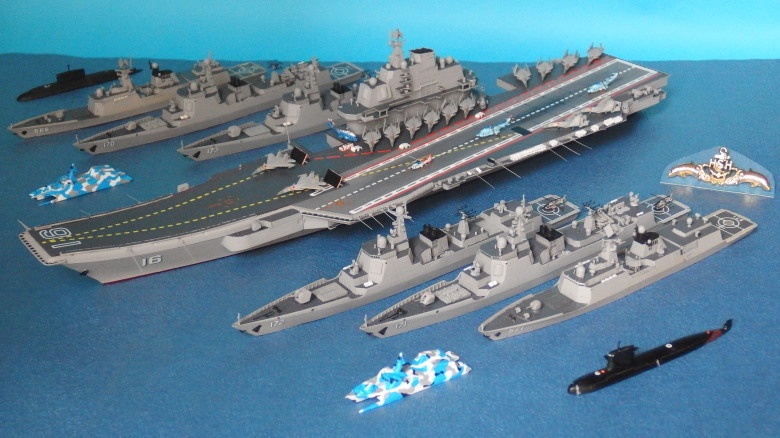 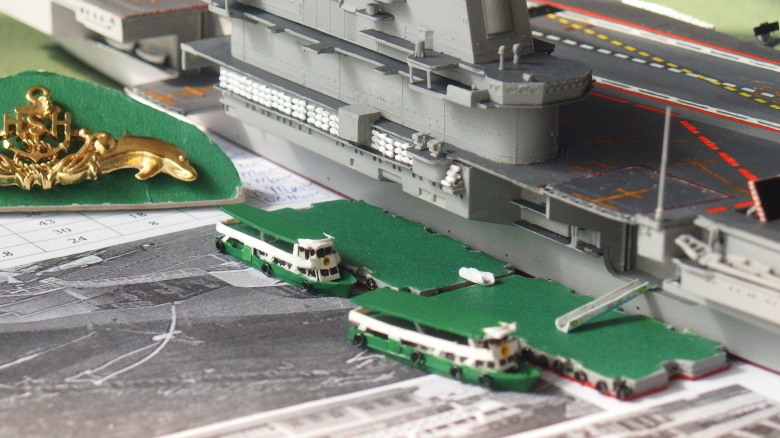 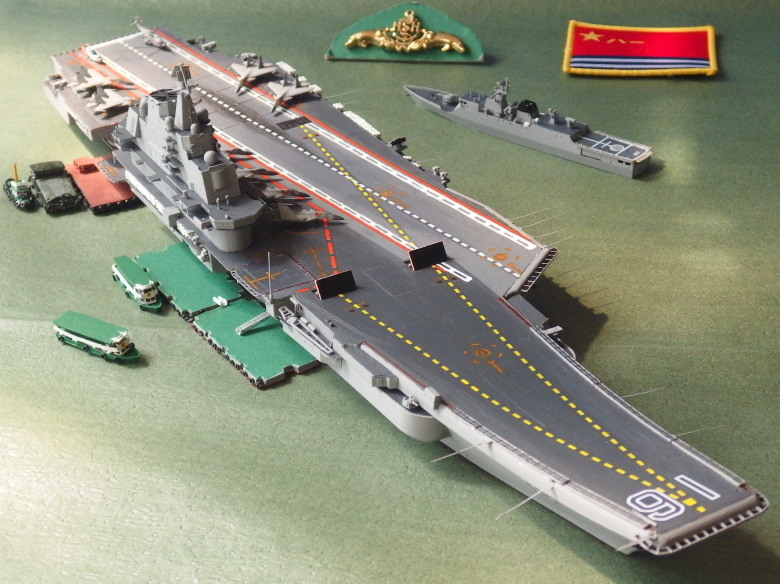 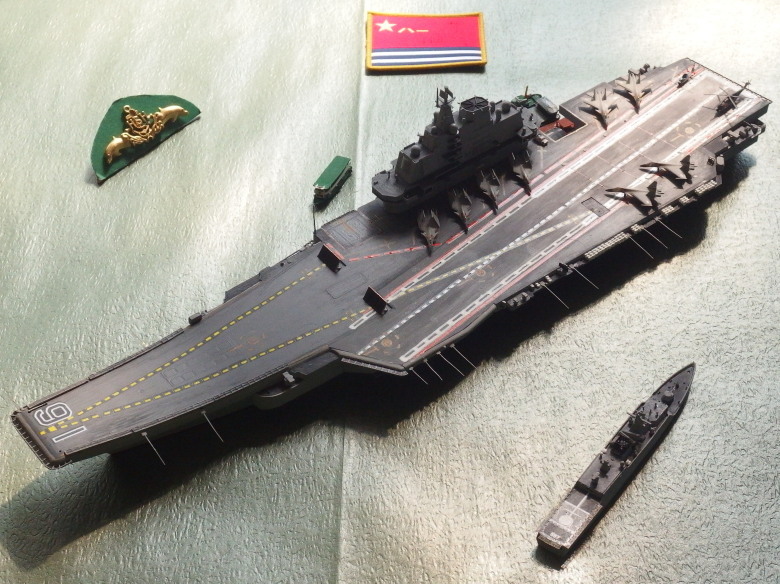 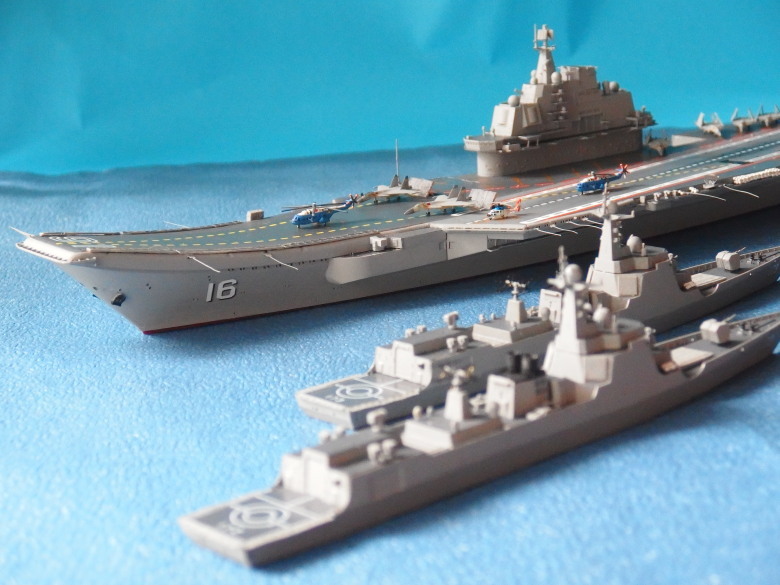 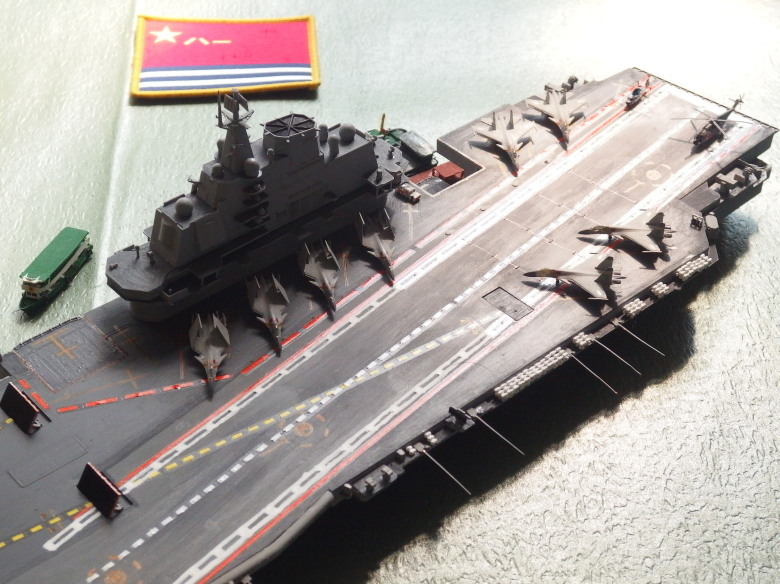 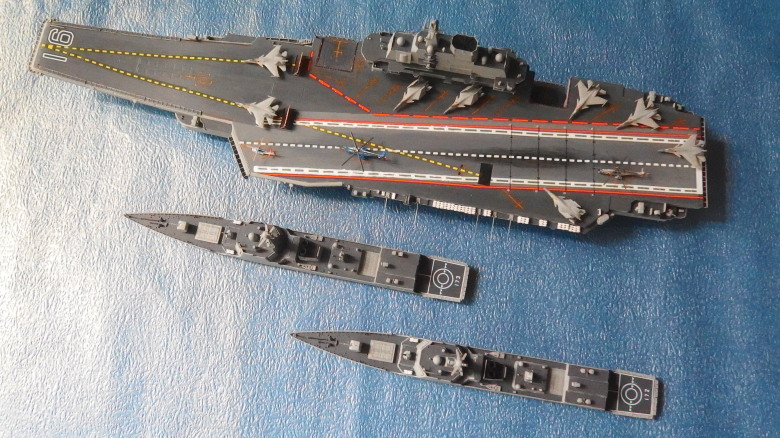 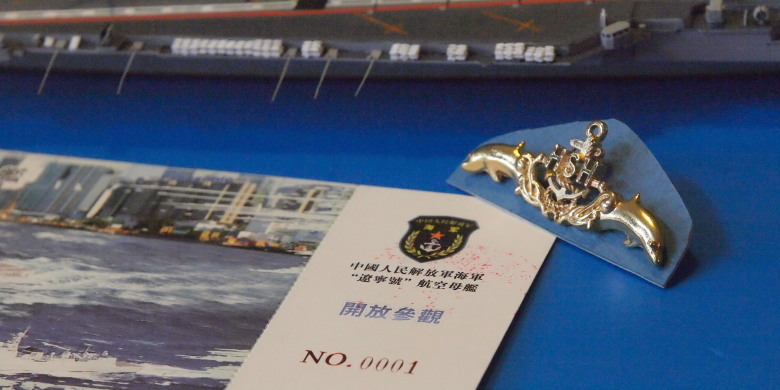 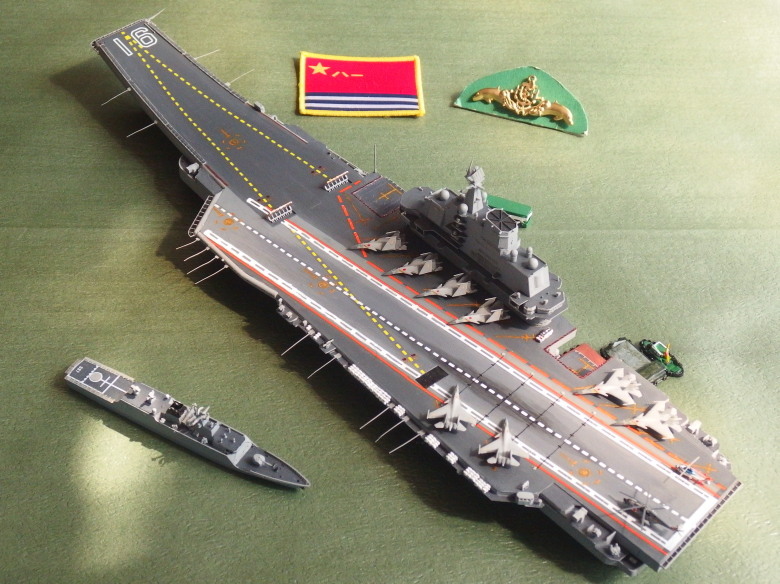 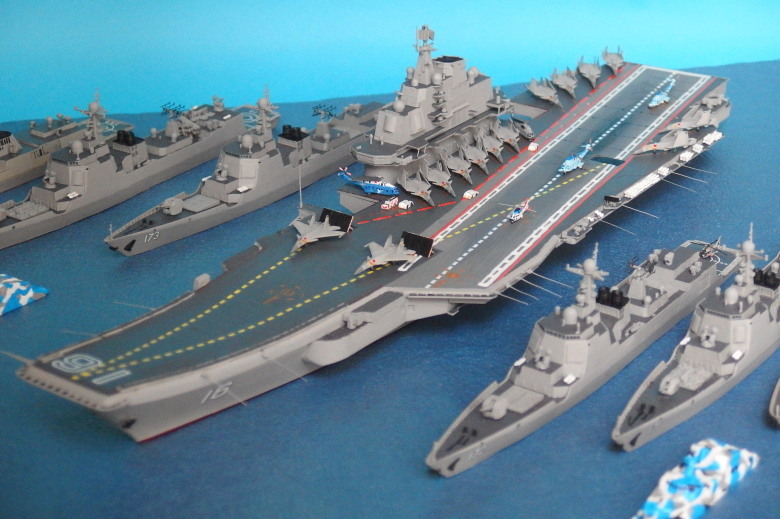 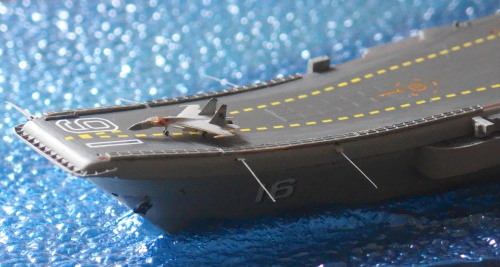 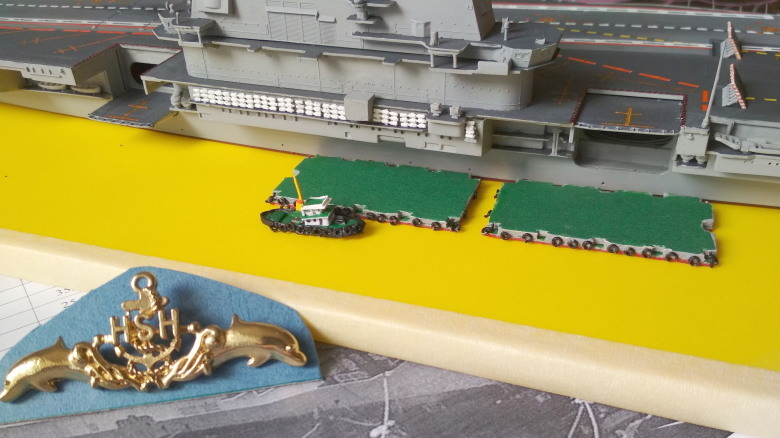 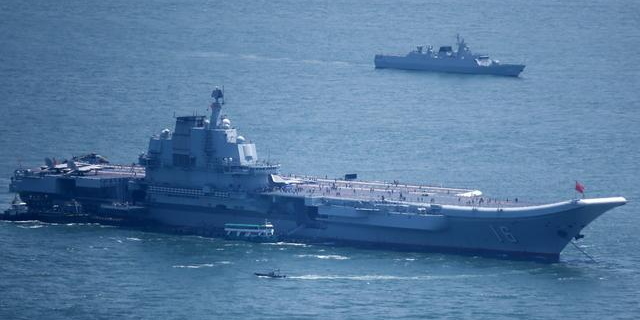 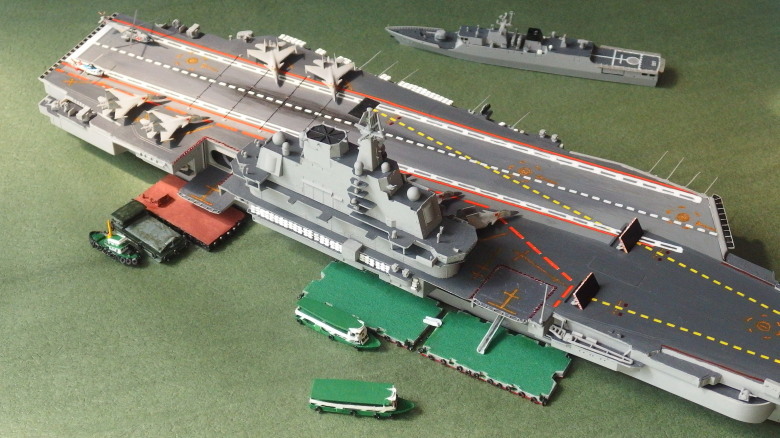 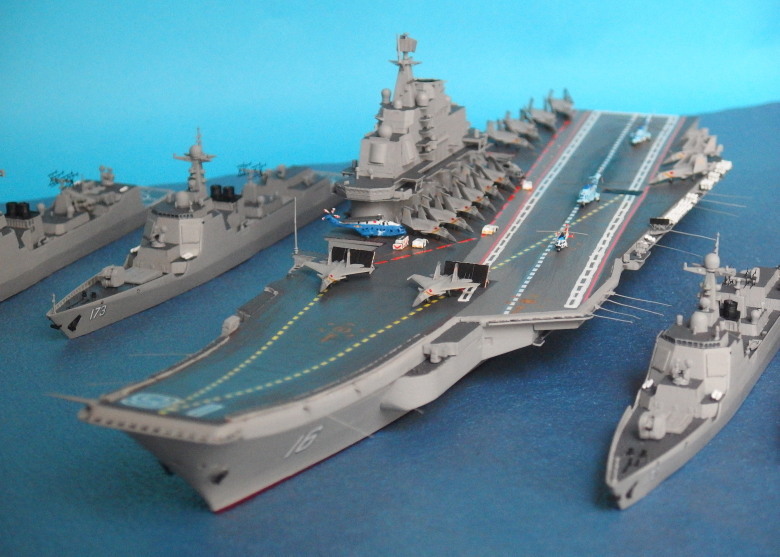 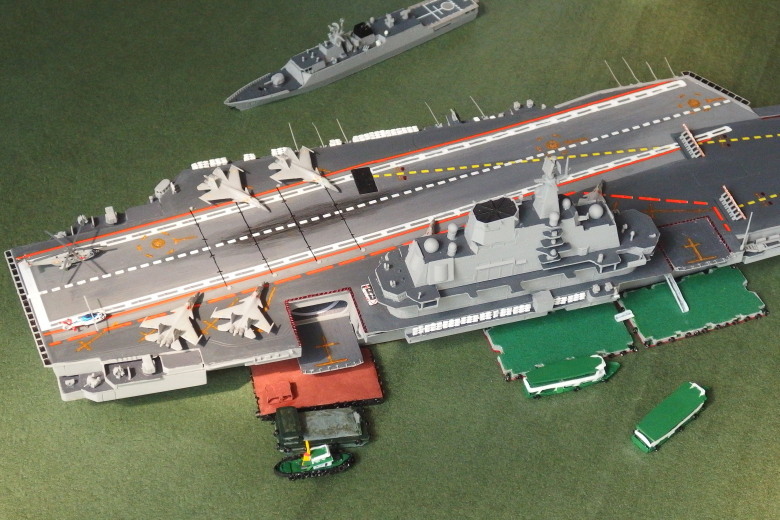 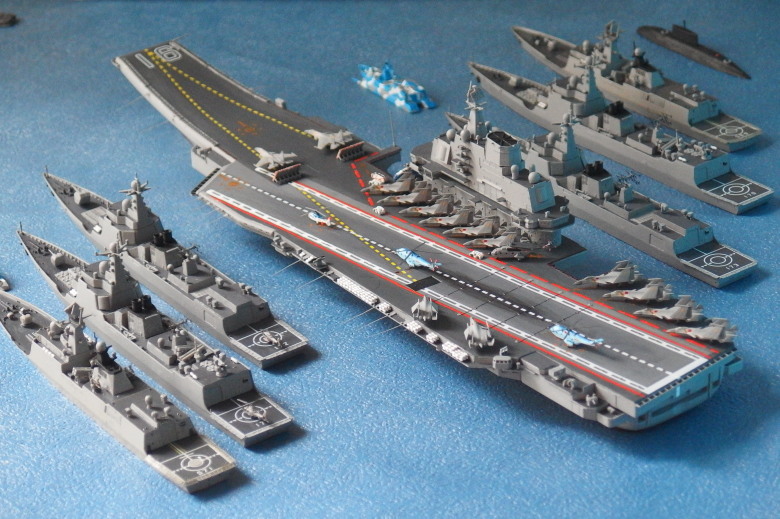 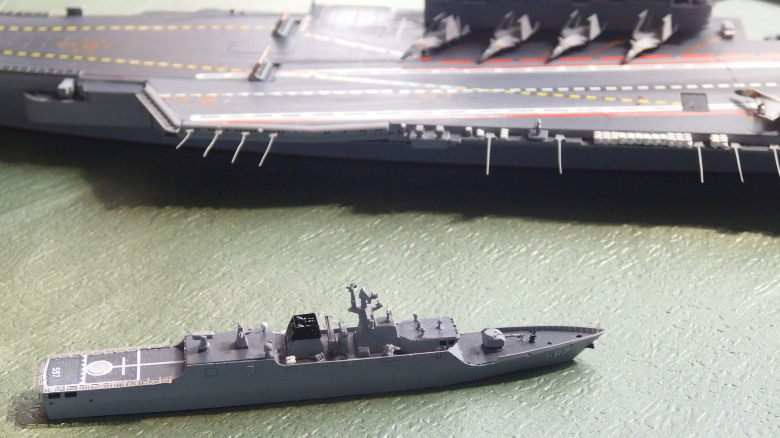 Disclaimer: This site is not affiliated in any way with PLA Navy. 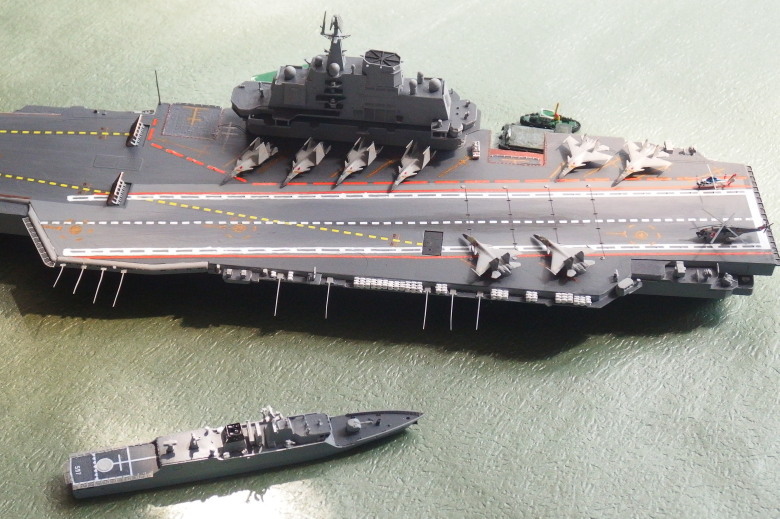 More details are available from the Hong Kong Visit on Sun, 9 Jul 2017. 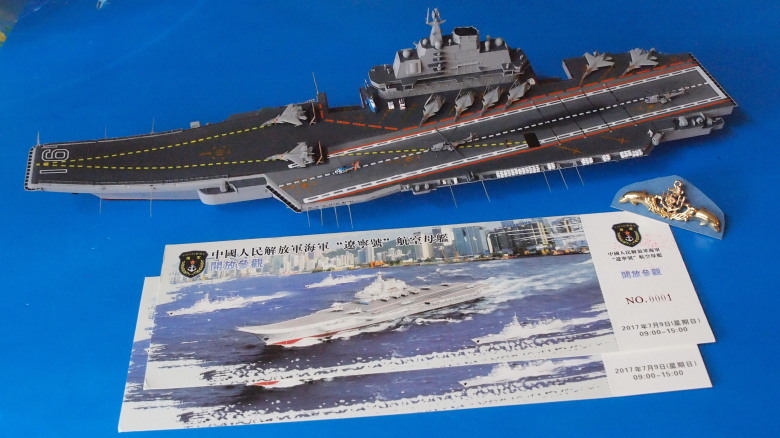 Trumpeter 06703 replacing the trial run based on Trumpeter 05713. 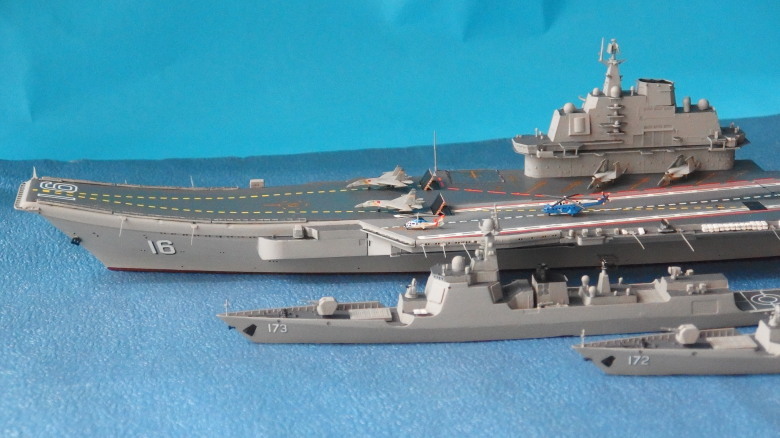 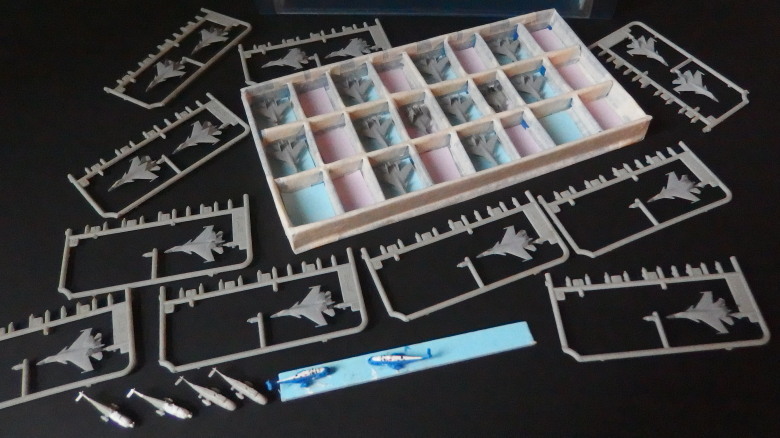 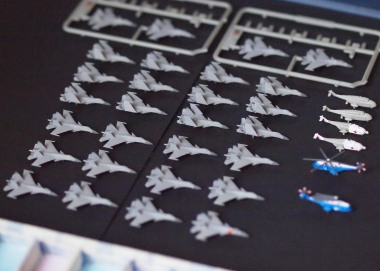 Trumpeter 03410 (J-15) and 03412 (J-15S), OrangeHobby N07-035 (Z-8/Z-18) and N07-034 (Z-9). 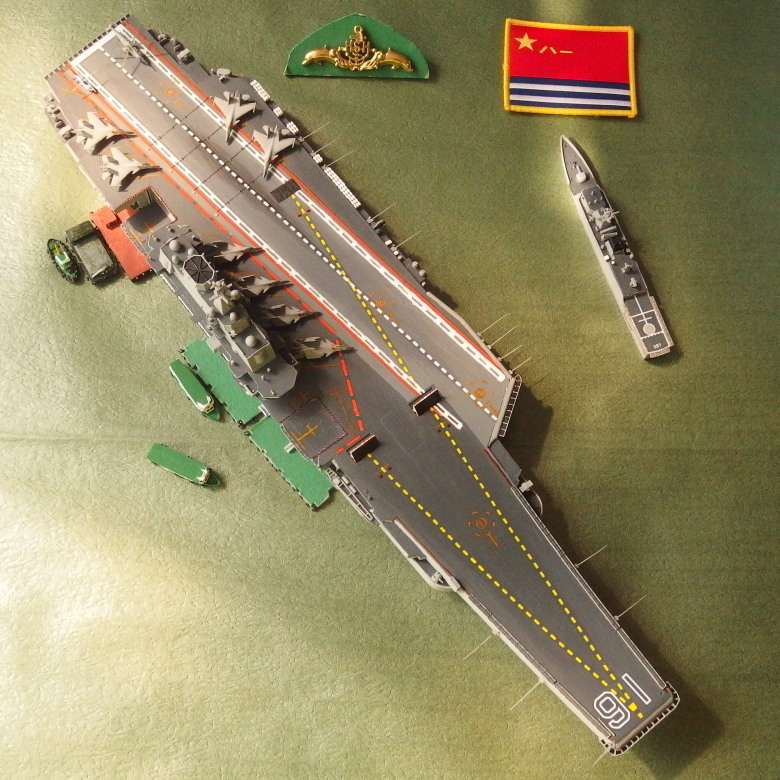 EasyDecal 1859 (Flags and Numbers for PLA Navy).